Tesla is reportedly in talks with music labels to sound out the feasibility of launching its own streaming music service that would come bundled with car ownership. Recode reports that music industry sources say the electric car maker has had talks with all of the major labels about licensing a proprietary service that would integrate with vehicle dashboards. The service could begin with a free streaming radio option similar to Pandora, said sources, with multiple tiers offered to customers. "We believe it's important to have an exceptional in-car experience so our customers can listen to the music they want from whatever source they choose," a Tesla spokesperson said. "Our goal is to simply achieve maximum happiness for our customers." For most observers, a move into music streaming would come as an unexpected development for the car company. However TechCrunch notes that CEO Elon Musk hinted that Tesla was exploring music products at its most recent shareholder meeting in early June. It's not entirely clear how serious Tesla is about the idea, given that existing streaming services like Apple Music and Spotify would have a huge lead over its own offering. 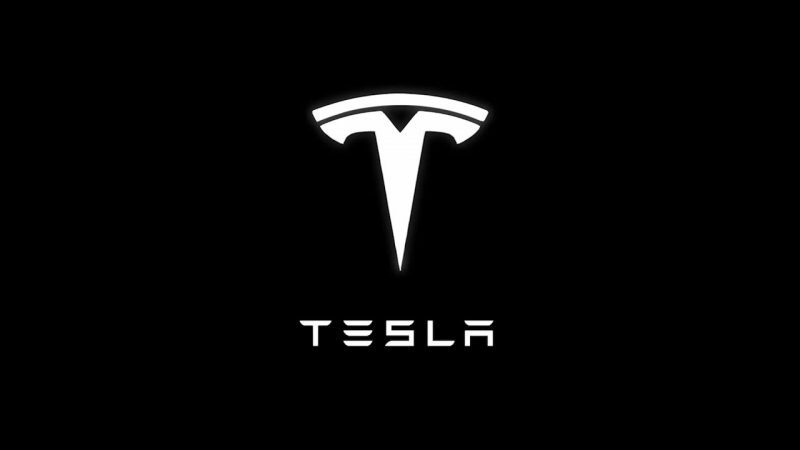 Indeed, Tesla already has a deal with Spotify to provide music for Tesla cars sold outside the U.S., so unless the company has concrete plans to provide something particularly unique to its drivers, these talks are probably best filed under "speculative" for the time being at least. It seems like every 6 months or so, Tesla has to generate new reasons for increased investment in order to keep up with the cash burn. It almost seems like a Ponzi scheme. Add CarPlay and be done with it. They want to stream engine sound maybe? I think they should just stick to making cars. Let other companies worry about in-car entertainment. Tesla is a joke. They have not even made a profit yet and pushed back their 3 or whatever its called. Charging stations are far in between and with a 200 mile range, no thanks. Not to mention that now you have to pay to use them. I challenge you to provide one shred of proof for any of your claims. There have been two quarters in which Tesla has made a profit, and they are going to start selling both the Model 3 and the solar roof before the end of the year, two projects they have been pouring R&D money into. There has been no delay with the Model 3. Elon set what he called an impossible goal to have the entire supply chain in place by the end of July. They are on track to make the first deliveries in July, and there are rumors that there could be as many as several thousand ready for delivery in July. Musk also accelerated his goal for the production ramp up to 10,000 units per week from the end of 2020 to the end of 2018. Superchargers cover the range of the entire United States and are going to double in the next few years. Free supercharging was never promised forever, but all cars sold as of now still have it. Even if you have to pay for it, it's at most half the cost of gasoline. Destination chargers are even more common and are often free. In short, if you're going to bash something, educate yourself first and stop spreading lies. I think Tesla is doing a Moat thing just like Apple has done for years. Tesla chargers aren't compatible with any other electric car so if you install one at your house, You're tied to Tesla and can't switch brands. I guess the same can be done with this music service. The only advantage I see is Tesla could stream the music w/o making customers pay for data using the already existing 3G network that updates the vehicles OTA and delivers Google Maps / Traffic. Like free supercharging, no data caps on streaming would be cool. But let's face it, every other music service has deals already and algorithms that play music you're going to like or music your friends like. Why would Tesla spend so much money to re-invent something everyone else has? Just seems like a waste of money and effort. A service that will play nothing but James Taylor, because hey, it's just a bunch of rich old white dudes driving those things anyway. Please look back on this comment in 5 years. You just don't see it yet. Tesla vehicles in Europe have Spotify built-in already. But in the US, strangely, they don't? Maybe Tesla couldn't reach a US deal with Spotify or one of the other streaming services so they've decided to go it alone. If Tesla and SpaceX let other companies do the other work, then they would be like Ford (slow to roll out anything) or NASA (300 million to launch a rocket instead of $30 million). Tesla is amazing, let them do things Elon's way!!! I totally see your point but getting music deals with all the labels is not going to be cheap. Logistically or deal wise to actually obtain music rights. They would be better to just partner with Spotify to get it built into the infotainment system of their vehicles.